With regard to external features, the white cats – is a sample of the purest colors, which are respected and admired at all times. 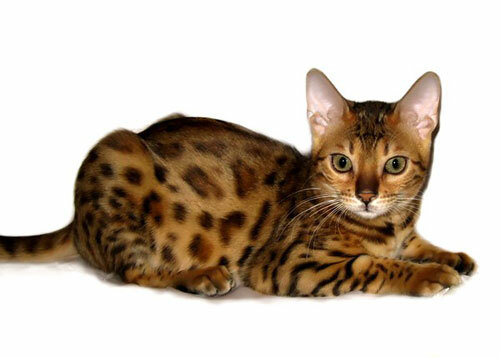 According to the standards, the fur of such cats should not have any impurities or shades of color, as well as blotches and spots, although the kittens are allowed to mark any color on the head, since such specks disappear over time. A special place among snow-white cats is occupied by white cats with blue eyes: they are considered to belong to the deaf breed. 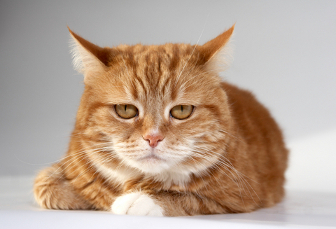 Indeed, such animals most often have a timid temper, since they have hearing impairments. However, this does not always mean complete deafness. In addition, scientists have shown that only 5% of white cats are really born deaf, and the rest quite well hear their owners. 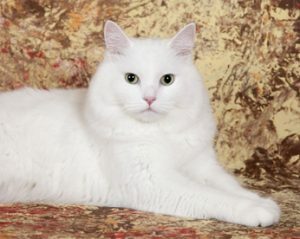 Also among the cats of white color there are also albinos – this is a white cat whose wool has become snow-white due to the absence of pigmentation. 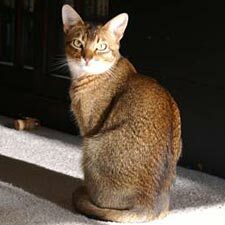 As a rule, such cats also have reddish eyes. Many of us have probably seen an advertisement in which the Angora kitten appears (the breed is Turkish Angora). This is a white fluffy cat, characterized by very long hair and bright, expressive eyes, which can be not only blue, but also copper and even … dark orange! Sometimes there are also breeds of white cats with eyes of different colors (called Odd Eyed White). In general, the dominant white color can occur in different breeds. For example, white Oriental Oriental cats are particularly notable, and by the way, they most often have expressive blue eyes. Also, a similar shade can be characteristic of the Persian breed, but in this case, a golden-smoky shade, as a rule, is added to the white. However, there are also pure white Persian cats with blue eyes – this is a very rare species of breed, and it is extremely highly valued by connoisseurs, since it is very difficult to get such a cat. The nose and paw pads of such cats are delicate pink. It is clear to all that white-colored cats need more thorough care than other animals, since the white wool gets dirty much more than other colors, and on its background dirty eyes and ears are perfectly visible. However, regular combing and bathing is not all. As already mentioned, such animals may have problems with hearing, so attention to them should be increased. 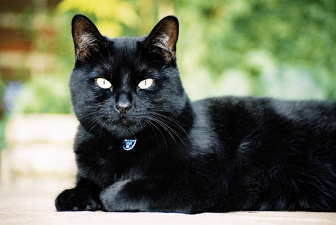 Deaf cats are able to respond to the call of the owner, feeling the vibrations of the air or seeing your emotions, so many may not even suspect that their white cat is actually deaf. However, even if it seems to you that your white cat hears you perfectly, you can’t let her go outside alone, and also give her the opportunity to escape. Outside your safe home, such an animal can quickly die when it gets under the wheels of the car, because it may not even hear its approach. 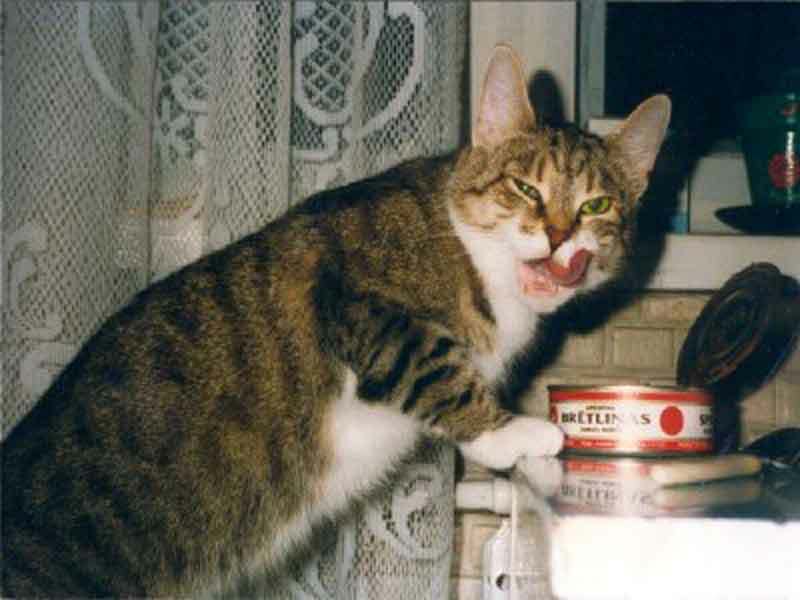 And if you take care of such a cat well, it may well give healthy offspring, who will be fine with hearing.